VIVOTEK releases four top-tier 4K cameras, the FD9391-EHTV, IB9391-EHT,IP9191-HP and IP9191-HT. These four brand new ultra-HD cameras provide 3840 x 2160 resolutions at 30 frames per second and 1920 x 1080 resolutions at 120 frames per second. Compared to other devices with standard 1080p resolution, the video quality in these cameras has seen significant advancement, delivering images of four times the resolution to viewers. Taking into account security as well as image quality, these four flagship cameras have embedded Trend Micro’s anti-intrusion software to provide users higher levels of network protection. The resultant combination means that this series of cameras are well suited for city surveillance, transportation and industrial monitoring due to their outstanding image quality and ability to accurately render fine detail. 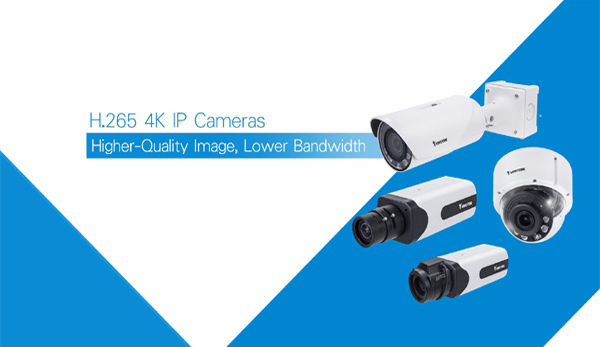 Thanks to the unique combination of H.265 compression and Smart Stream III, video compression of these four cameras has been brought into a new generation, enabling savings on both bandwidth and storage consumption of up to 90%. This means that users can enjoy engaging and detailed imagery while compression technology reduces the size of recorded data to a level below that of a 2-megapixel camera. Moreover, VIVOTEK has launched four network video recorders (NVR), ND9424P, NR9782, ND9441P and ND9541P. All four NVRs are capable of supporting outstanding 4K Imagery to offer a total solution for users. Under the strategy of “See More in Smarter Ways”, the FD9391-EHTV and IB9391-EHT include VIVOTEK’s latest technology – Smart Motion Detection. 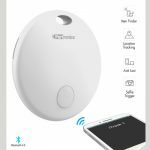 Smart Motion Detection is able to recognize human activities with precise accuracy, without being affected by a change of lighting or other factors. In addition, the technology reduces time spent on configuration and fine tuning, thanks to its intuitive configuration panel and clear visual confirmation. Smart Motion Detection results in a significant reduction of false alarms and the continued protection of people in smarter ways.